J.Hamilton (Jim) interests revolve around teaching personal empowerment based on fundamentals. By re-enabling one’s natural state of connection with Source (Innate Intelligence, Universal Mind, God, the Divine, etc. ), we partner with the Order that everything shares. In this capacity, we become powerful beyond measure. We exhibit characteristics of presence, compassion, unconditional love, a solutions-orientation that knows no bounds and we become a delivery system for Innate Intelligence to deliver solutions through us to a species about to overrun its only home! Further, J.Hamilton says: “he has been fortunate.” He has been meditating for 40+ years (since 1973) and when he was young, learned how to combine goal setting and meditation and retired at the age of 30. After a number of years of big boat sailing and inadvertently moving to Sedona, Arizona in 1987, he started to do consulting and then wrote his first book, Visionaries Thrive In All Times. He now has five books (with two more on the way) and about 150 articles. He has developed a system based, in part, on the science of neurofeedback for rapidly advancing personal (and collective) consciousness. His first book, Visionaries Thrive In All Times: blueprint for reality creation (2005) is about the possibilities of individual and collective reality creation in alignment with Innate Intelligence. He released a third title: Beyond Words: thoughts become awareness (2010), documenting his personal experiences of transformation through a series of chronological articles compiled into a book format. His fourth book, what if Prosperity has nothing to do with money (2015) explores the quality of our connection with Source as the foundation for the quality of our happenstances, our synchronicities, harmonies and order, and everything we need in life. What IF money has nothing to do with prosperity? What if it’s all about plugging back into our Connection and aligning with what’s true? And his fifth book, The Twelve Premises of CORE Resonance Colonies: for an enlightened world (2015) lays out a program and plan for infusing Innate Intelligence into intentional corporations, intentional communities and other intentional organizations. Anything going forward without properly infusing Innate Intelligence’s contribution is simple ignorance and invites failure and dysfunction. The foundation of CORE Resonance Colonies is the article The Twelve Premises of CORE Resonance Colonies™. 52 Weeks of Visionary Focus is soon to be released. There is now a 7th book in the wings.. Patterns and Habits. Everything, (repeat: everything) is patterns and habits. From how the brain learns, i.e., thousands of learned patterns and habits that run concurrently which identifies the brain’s vast complexity, to how the mind and subconscious mind operate and spit out information, to Nature’s patterns and habits documented as Sacred Geometry, beauty and a scale of order that knows no bounds. Everything is patterns and habits. Aligning with what is True requires that our patterns and habits mesh with the overall scale of order that everything else abides by. This then becomes Resonance. In resonance, we become plugged in. 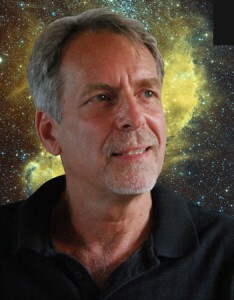 J.Hamilton is the founder of CORE Resonance Systems in Sedona Arizona, which features CORE Resonance Training™ as a series of steps designed to quiet the brain and nervous system and re-enable one’s natural state of connection with Source. As we achieve this partnership, relaxation and nonresistance becomes available – an alternate to creating reality based on fear and doubt, and resistance and reaction to our surroundings. As we discover a new way of doing things, we become exponentially more useful to, not only ourselves, but each other. Presently, J.Hamilton’s focus is on an introduction of CORE Resonance Colonies™ which is a solutions-orientation so large that it snuffs out any problem. CORE Resonance Colonies™ are living mechanisms designed to reach to the Divine and back to the earth to deliver what we have always wished and strived for, and always knew was possible – access to solutions. Because the Universe is ever unfolding and solutions-driven, as we plug into what is True, we become a means by which solutions are delivered into this dimension. Designed as a beachhead for advancing consciousness, CORE Resonance Colonies™ are designed to dot the landscape and broadcast the frequency of the Divine through intentionally coherent groups to the human species in need of a few good ideas. TapRoot™ by CORE Resonance is another application of CORE Resonance Training. TapRoot™ is designed to be the foundation of any intentional community, intentional organization or team or intentional corporation responsibly and sustainably reaching into the 21st century. To build an organization without infusing Innate Intelligence into the foundation of that organization is simple ignorance–and folly. Aligning with what is True opens the way for an exploration of living and life that so far exceeds what we are presently experiencing, that we transform into “the Second Coming.” We become God-realized human beings operating at our potential and expressing in resonance with not only each other but the larger picture. Offering advanced Business, Wellness and Life Coaching, J.Hamilton enables clients to successfully access advanced states of consciousness that facilitate sophisticated levels of advanced personal performance. Clients, including athletes, professionals and those seeking higher states of consciousness report states of well being and spiritual awareness here-to-fore unknown. The Formula? Nonresistance and the Law of Attraction. J.Hamilton is available through www.COREresonance.com, by email: jhamilton [at] COREresonance.com, or by telephone 310 878-2260.